· “The shipping markets have continued to edge forward over the past six months. Our ClarkSea Index averaged $11,264/day in January-August 2018, up 13% y-o-y but still 3% below the trend since the financial crisis. The bulker and containership markets have seen further gains, with earnings rising 25% and 38% y-o-y. The LNG carrier market is moving forward very positively, whilst the cruise, ferry, and Ro-Ro sectors have remained firm. LPG market conditions have been difficult, but some positive trends are starting to filter through. The tanker market has deteriorated further (earnings down 29% y-o-y), triggering helpful heavy recycling and seasonal upside. Despite improvements another tough winter is expected in offshore. · Economic trends remain broadly supportive with global expansion of 3.7% projected in both 2018 and 2019, a similar rate of growth to 2017. However risks seem greater than six months ago, including from rising trade tensions and the potential knock on impact on investor sentiment. · After growing by 4.2% last year, seaborne trade is still projected to expand by a relatively healthy 3.1% in 2018 (tonne miles: 3.4%), and by 3.2% in 2019. This will put overall volumes in 2018 at 12.0bt (up 3bt in the ten years since the financial crisis), equivalent to 1.6t/capita and 84% of global trade. Growth in dry bulk trade is projected to moderate to 2.6% this year, whilst oil trade growth is on track to slow to 1.4% (tonne-miles 2%). Box trade volumes are expected to expand by over 5% in 2018, whilst LNG and LPG trade are projected to grow by an encouraging 11% and 4%. Potential headwinds for seaborne trade appear to be brewing, including from escalating trade tensions involving the US and China. We have been tracking the shipping “context” closely (tariffs impact just 1.5% of total trade at present) but this is a complex issue, varying by commodity. Brexit may impact trade in Europe. Positive trade drivers also remain, including developing world demand and China’s ‘Belt & Road’ initiative (we are tracking over 500 projects). · For the moment, shipping supply is starting to seem more manageable. With shipbuilding output still declining (see below) and recycling remaining relatively elevated (23m dwt scrapped so far in 2018, driven by a robust 17m dwt of tankers but with bulker and boxship recycling slowing to the lowest levels for ten years). The world fleet (currently 1.9bn dwt) is projected to expand by just 2.4% in 2018, and 2.8% in 2019. · Conditions for shipyards are slightly improved but remain tough. A modest uptick in ordering from the record lows of 2016 has been helpful, although only 48m dwt has been ordered so far this year (in part reflecting rising newbuild prices). Cruise, LNG and FPSO have seen good order volumes. China now has a 36% share of the orderbook, followed by Korea (24%), Japan (18%) and Europe (15%, but 98% of cruise). Just 119 yards have taken an order (ships 1,000+ GT) in 2018, compared to over 600 in 2008. The orderbook backlog is 199m dwt ($218bn), down 7% from the start of the year and equivalent to just 10% of the fleet. Deliveries are on track to fall 18% to 81m dwt in 2018, with a further 4% drop expected in 2019, alongside further consolidation of yard capacity. 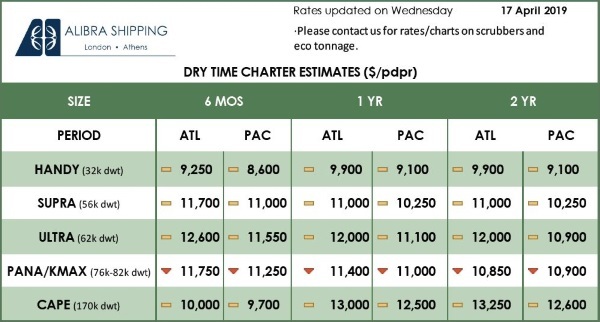 · S&P volumes have remained strong, with 57m dwt sold so far this year, half in the bulker sector. Prices in the major sectors, especially for modern units, have made further gradual gains. For “top tier” names financing is increasingly competitive from European banks and Chinese leasing companies, while the capital markets have been generally quiet. Consolidation amongst owners remains an underlying trend. · The environmental regulatory timetable continues to accelerate, keeping “timing and technology” decisions firmly on the agenda. 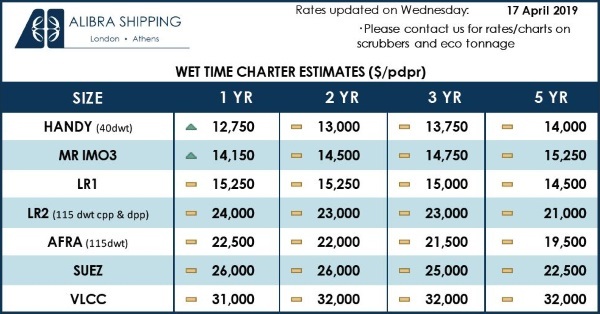 There has been a marked step up in enthusiasm for scrubbers (now 1,500 vessels and growing) while the 2020 sulphur cap has also introduced a number of positive market “wildcards” from potential off hire time for retrofits to slow steaming, accelerated demolition and changing oil trades. Alongside rising oil prices, fuel economics are firmly “back in play”. The landmark carbon targets agreed at IMO will also create long term demands for new technology, including alternative fuels. Innovations in digitalisation and “smart” shipping continue.